This was a great story out this week. 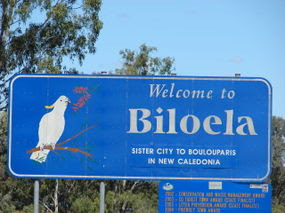 Four lads took a car wash, without their car, and without their clothes, at Biloela, central Queensland. They paid $17 for the "full service" around 2am last Sunday morning, stripped off and proceeded to walk through the car wash.
(Un)fortunately two local coppers, patrolling nearby, were spoilsports and shut down the wash cycle, just before they got the full wax and shine. "They were stopped before it went too far. They could have been seriously injured,'' Sergeant Adrian Riecks said. In a stunning revelation, the police told the young lads, that a "car wash is for washing cars, not people. We warned them of the danger of high-pressure cleaners." It is understood that Paul Freebody's Car Wash Cafe won't be offering the new service. The 19 and 22 year olds will appear in court for public nuisance and wilful exposure on December 14th.